Maude Barlow, awarded for her work to recognise water as a human right, tells us about the global water crisis and the risky yet relatively unknown connection between water protection and commercial agreements. Safeguarding peoples’ health and wellbeing through the protection of the environment, water and food. To accomplish this, we must establish a democratic legislative process that is in the interest of citizens, free from the pressures of industrial lobbies and able to invert a development trend that continues to favour environmental pollution, water contamination and climate change. This is the idea suggested by Maude Barlow, one of the leading experts on the sustainable use of water resources who received the Right Livelihood Award, also known as the alternative Nobel prize, in 2005 for the recognition of water as a human right during her tenure as Special Rapporteur of the United Nations. CETA, the Comprehensive Economic and Trade Agreement approved by the European Parliament, is likely to crystallise the current economic development model, undermining the efforts of environmentalists who are fighting for new environmental protection regulations. We met Barlow during the forum for water movements and the campaign to stop TTIP/CETA in Rome. She explains the subtle but vital bond between commercial agreements and environmental protection, starting from what she calls a global water crisis. You’ve talked about a global water crisis. What does it mean and why is it essential to keep water in the public domain in order to tackle that crisis? The global water crisis is split into two main strands. First of all, it’s an ecological crisis because, especially in the Western world, we’ve always considered water as an infinite resource that can be used as we please, for our comfort, and obviously, for our profits. Thus, we have abused this resource and we continue to overly exploit it. Secondly, there’s the human right to water, which entitles everyone to clean water. 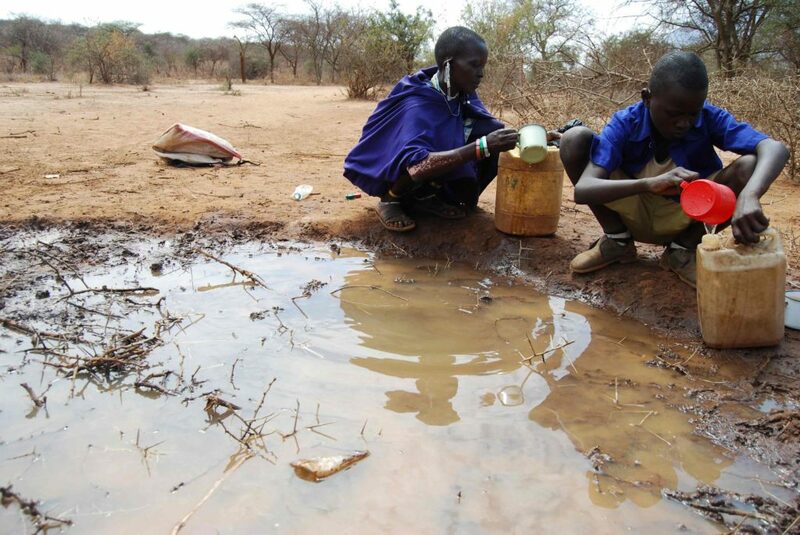 The World Trade Organisation reminds us that every day two billion people can only drink contaminated water and don’t have access to basic sanitation. The ecological and human right crises must be tackled with good public policies. We must take care of water, we must stop exploitation and uncontrolled withdrawal, stop polluting it and guarantee the right to access clean water for everyone. This won’t happen if large corporation continue to control water. We’ve already seen it happen: private companies buying out municipal services, cutting costs on standards and personnel, and increasing the price of water. All of this is predictable because their objective is to have a return on their investments. The only way to face and solve this global crisis is to stay alert and keep water in the public domain. This is essential in order to solve the two interconnected crises before it’s too late, before we reach the point of no return that I can already see on the horizon. Should the trade model we define as “free” actually be considered as one of the main culprits of this crisis? One fifth of the water is lost due to the rules of free trade. Let’s take the water contained in commercial products that travel across thousands of kilometres as an example. Many countries damage their water resources, taking them away from citizens in order to sell more products on international markets. Continuing this type of trade means damaging the environment. The pressure on water is increasing, since the demand for this finite resource is increasing. Water has been present in attachments to trade agreement since the Eighties. This means that multinationals are well aware of the fact that this is a strategic resource and therefore cleverly include clauses to reclaim the rights on public water. When water changes its natural state, it is immediately subjected to the clauses of treaties. In which direction is CETA headed, and how is it dangerous for the environment? CETA, like many other trade treaties, is basically written for large corporations, which can continue to expand their trade and their profit. I don’t want to condemn trade itself, but the problem is that the trade carried out by corporations isn’t the solution to the crisis we’re facing. The worst thing the environment and for us is that these treaties offer multinationals the chance to prevent governments from legislating in the public interest. CETA and other commercial treaties don’t consider water as a basic necessity, they consider it as an investment, as something that can be traded through private services. Once the services are privatised, governments are less likely to introduce new laws, because if such laws were not to the liking of the multinationals, they could be sued in accordance with the treaties. Water services are, in fact, subjected to the application of the ISDS, the Investor-State Dispute Settlement. This is not just a theory, we’ve seen it happen in Canada, which has been brought to trial 41 times, two thirds of which for environmental and food standards that have been deemed as too stringent. Canada has paid 300 million dollars in compensations so far, and is undergoing arbitration for another 1.75 billion. What is Italy’s position on the treaty? I met Italy’s State Secretary for Economic Deveopment Michele Geraci who said that no decision has been made regarding the CETA. That’s been disappointing, since just a few months ago the same members of parliament told us they weren’t going to ratify the CETA. But it’s good to know how things truly are, so that we may be able to organise a strong opposition. The difficult situation is understandable, since pressure is huge at those levels. Large energy, services and food corporations, as well as hydric service companies are exerting great pressure for Italy to ratify this treaty. One month ago, in Montreal, the European trade commissioner, Cecilia Malmstrom, answered a journalist’s specific question saying that she isn’t worried because it was just a matter of time before Italy gave in. Our message to Italy is to stay united and strong, and refuse this agreement that serves only the interests of multinationals. According to a recent investigation by ISPRA, the Italian Institute for Environmental Protection and Research, Italy’s waters are highly contaminated by pesticides, of which the country is one of the largest consumers in Europe. What would happen with the CETA? The pesticide situation is dire and it concerns the whole world. We can’t point the finger at the CETA for the current situation in Italy, but we can state that it will not offer a solution to the crisis, it will in fact help to maintain the current situation of pollution and contamination going forward. I believe we need new ethics of water. If the assessment is negative, then we must refuse to sign commercial treaties, build aqueducts, or continue tolerating the use of pesticides. Waters around the world are undergoing processes of eutrophication. The larger the farms are, the more minerals and nutrients enter the water fuelling this process. Italy is one of the largest consumers of pesticides in Europe and treaties like the CETA can crystallise this situation as it will be virtually impossible for environmental organisations to fight pollution and contamination. And that would be a shame. I think about the fact that Italian farms are much smaller than North American ones so it would be much easier for them to become organic. In Italy, approximately 14 per cent of farms are organic, whilst in North America we sit below 1 per cent. We have the right to good laws and a good government. This is our fundamental right and we must to continue fighting for it to not be taken away from us.